Nowadays, rising construction costs are among the main challenges in the multifamily sector across all U.S. metros. This is why companies—especially construction firms—are striving to find innovative solutions to cope with the situation. Hoar Construction Operations Director Tom Underwood talked with Multi-Housing News about his company’s strategy to overcome the pressing issue of increasing costs. His firm has several projects across Atlanta, so he also touched on what drives demand across the metro. He thinks that the Metropolitan Atlanta Rapid Transit Authority’s (MARTA) expansion is likely to spur construction in suburban areas. “We expect to see more activity in the close-in suburbs. We anticipate this because multifamily development will likely follow Marta’s expansion,” Underwood told Multi-Housing News. According to Yardi Matrix’s latest Atlanta report, MARTA plans to build 22 miles of commuter rail from East Point to Lovejoy in Clayton County and bus rapid transit along state routes 85 and 139 to connect College Park, Riverdale and Morrow. The project aims to add affordable housing, bring economic development, stimulate job creation and support public health improvements and historic preservation. 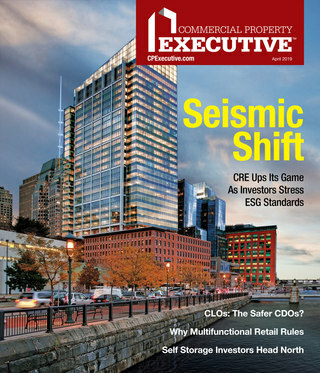 How did the multifamily construction landscape change in the past several years? Underwood: The current cycle has been defined by a distinctly urban flavor of development: located in and around the urban core, mid-rise and high-rise buildings, transit-oriented locations, fewer bedrooms per unit, smaller units in general, with an emphasis on amenities and shared space. What are the main challenges in the market? How do you overcome them? Underwood: Rising construction costs are the main challenge, including materials and labor. We’re promoting training and development, so we can access the right talent and keep filling positions across the country. We are also focused on getting involved with developments earlier so we can help advise design teams and owners on actual cost, as well as lock in certain material costs with suppliers in the event of market fluctuations. 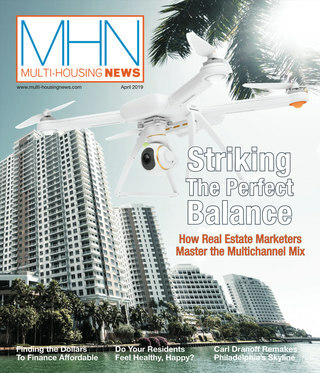 What can you tell us about demand for multifamily units in Atlanta? Underwood: Atlanta’s population is growing exponentially, at approximately 1.7 percent since 2015, compared to the 0.4 percent national average. The key demographic moving to Atlanta is young professionals, between 18 and 34, which is also the prime renter cohort. This impressive growth is the fuel for additional multifamily development. Tell us more about the opportunities Atlanta offers when it comes to multifamily projects. Underwood: We’ve been actively working in Atlanta since 2007 and in Georgia since the 1980s. Through the past few years, we have seen a steady increase in work with repeat clients such as North American Properties, Hines and Apple, all part of our work at the $600 million retail and mixed-use destination Avalon, and that led us to make the decision to expand our permanent footprint here. The multifamily opportunities are wide-ranging in Atlanta, regarding both price-point and geographic location in the market. The most common multifamily product being built today are those intended for rent, a trend we’re seeing across all our offices—94 percent of all multifamily projects being developed are intended for rent. When compared to other large markets, Atlanta has not been overbuilding in the multifamily segment, which has helped keep vacancy rates low and rent growth elevated on a relative basis. Tell us some specifics about two of your multifamily projects in the city—Gentry and Vireo. Underwood: Vireo will be the first LMC property to open in Atlanta, in Midtown, just a block from Piedmont Park and a short walk from Peachtree Street. The prime location features pedestrian-friendly access to shops, entertainment, nightlife, cultural attractions and businesses. The 27-story high-rise includes rooftop amenities such as a resort-style pool, cabanas, clubhouse and outdoor lounge with beautiful views of the Atlanta skyline. The studio, one- and two-bedroom apartments begin leasing April 1. The Gentry, another LMC project, is under construction in Buckhead. The 1-acre redevelopment of a surface parking lot will add 20-foot-wide tree-lined sidewalks and street-level retail to this area that’s walking distance to Buckhead Theater, The Shops at Buckhead, Whole Foods, Trader Joe’s and the Atlanta History Museum. Amenities include an eighth-floor terrace with an outdoor movie theater and 21st-floor with a private dining room and catering kitchen, lounge, pool, cabanas and a club-quality fitness center with indoor/outdoor yoga area. The 21-story high-rise apartment community is scheduled to open in 2020. How do you expect MARTA’s expansion project to influence the Atlanta multifamily market in the years ahead? Underwood: The expansion of Marta, along with the increasing prevalence of ride-hailing services such as Lyft and Uber and the abundance of rent-to-ride options like e-scooters, ZipCars and bikes means fewer parking requirements for multifamily developers as their residents will rely less and less on personal vehicles. What role does technology play in your projects? What about sustainability? Underwood: We research and test to find the right tools that will help our teams build faster, safer and smarter in the field. The end goal is to use technology to bring value to our partners and owners while we’re on the job, making us all more efficient. To find enough masons in Roanoke, Va., to replace 470,000 bricks within a fast-paced schedule, we thoroughly tested and used Construction Robotics’ SAM (semi-automated mason). The robot laid an average of 3,000 bricks per day. In renovations, a common challenge is planning new construction around existing conditions. HoloLens is a VR tool that allows us to see the building model in place in real time, which means we can resolve most conflicts before construction even begins. What’s your business growth strategy? Underwood: We are focused on slowly and steadily growing our footprint across the Southeast. We want to ensure we are providing excellent service for our long-term clients and continuing to build high-quality projects. Additionally, we also focused on ensuring we have a well-rounded book of business: commercial, multifamily, higher education, mixed-use/retail, healthcare, industrial, hospitality and entertainment.